How many bells does the Minster have? There is a peal of eight bells, weighing 5.5 tons in total. The heaviest bell, the Tenor, weighs 1.5 tons alone. 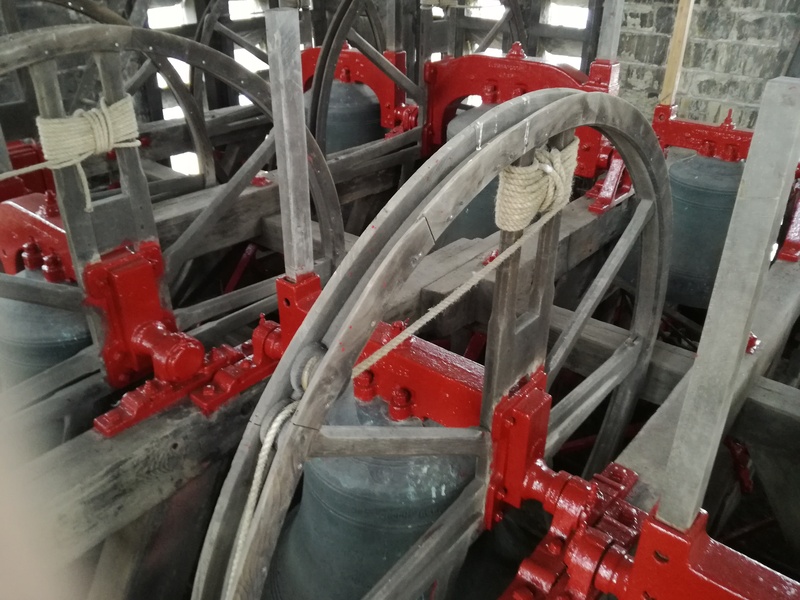 The bells were refurbished and recast just before the Second World War. 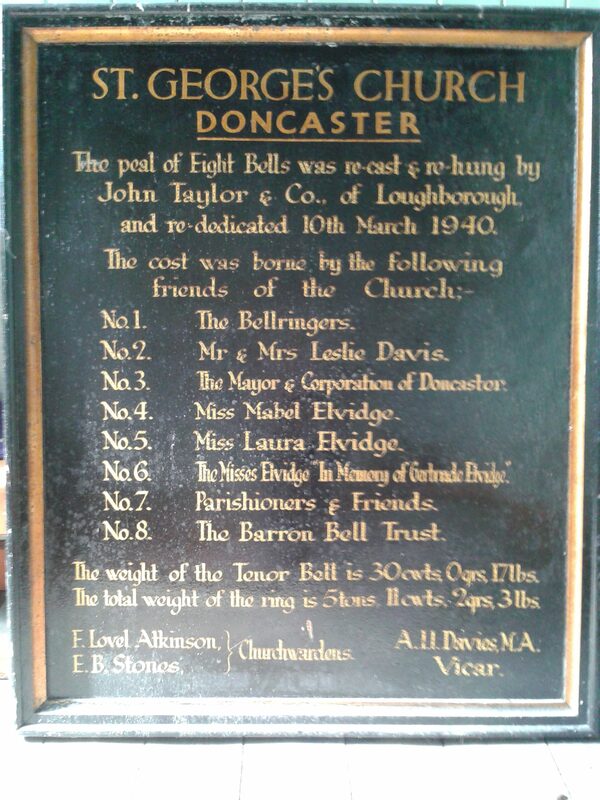 We have been fortunate in the support of the Doncaster and District Society of Changeringers who have supplied bell ringers to ring for services, weddings, civic events and national initiatives. Recently they have been recruiting extra bell ringers to serve the Minster, other churches and in response to the national initiative, Ringing Remembers. Bell ringers, all over the country, will ring on 11th November 2018 to mark the 100th anniversary of the signing of the Armistice Agreement on 11th November 2018, at the end of the First World War (the Great War). Ringing Remembers is a national initiative to recruit as many bell ringers as those lost during the First World War some 1,400. This appears to have been a successful initiative as some 1,700 have been recruited. Each new recruit has received a special badge to mark this special initiative. 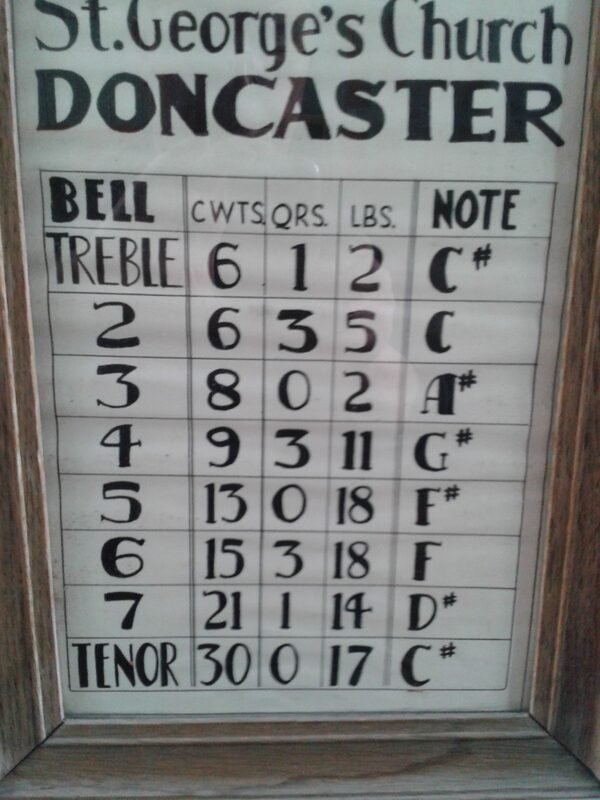 Interested in the Minster Bells or want to ring at Doncaster Minster?